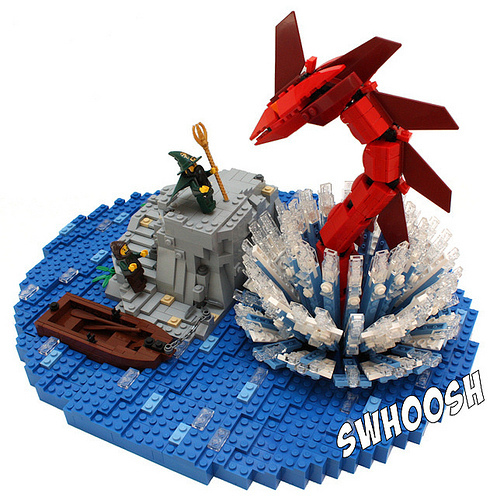 Flickr user Teabox has built this dramatic scene portraying the summoning of a giant sea serpent, and uses it to illustrate a short comic. There are lots of neat bits about this model, not least of which is the impressive splash of the monster rising from the deep, but also note the brick-built boat, which is very deftly done. when i first saw this i immediately thought of a bloomin’ onion from outback.